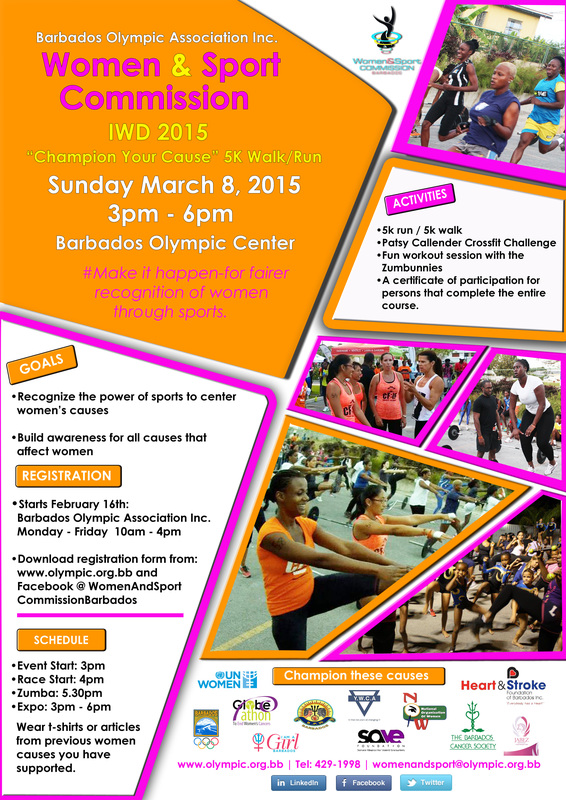 IWD 2015 – “Champion Your Cause” 5K Walk/Run Route – Barbados Olympic Association Inc. The countdown is on to the Women and Sport Commission of the Barbados Olympic Association Inc., International Women’s Day (IWD) event. The event takes place on Sunday March 8, 2015 from 3pm-6pm at the Olympic Centre in Wildey, St. Michael. Join the “Champion Your Cause” 5K Walk/Run at 4pm and show your support for the cause. 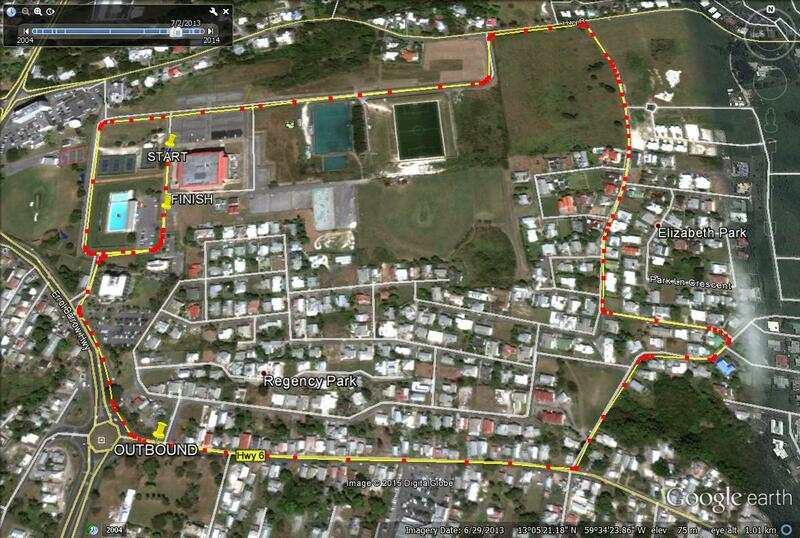 The full 5K route starts from the Garfield Sobers Gymnasium Compound; exits South Gym to Garfield Sobers Roundabout; follow Highway 6 (Sargeant’s Village Main Road) to its junction with Elizabeth Park Road; turn left and follow Elizabeth Park Road to its junction with Upton Main Road; turn left on Upton Road and continue to its junction with the North entrance to the Garfield Sobers Compound. The race ends at the car park entrance of Barbados Olympic Association Inc.